With public and private channels, direct messages, and the ability to create guest accounts, there are plenty of options for how to post and share information in Slack—and clear reasons for why and when you might use one over the other. To reorient ourselves, let’s walk through the who, what, and why of channels and messages—and how members interact in Slack—with a nod toward transparency and privacy within your workplace. 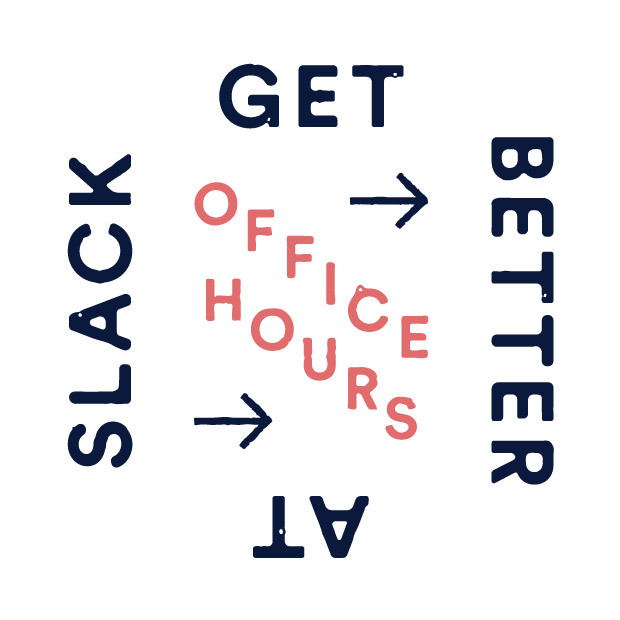 At the top level, Slack is organized into workspaces. Most companies put everyone at the company on a single workspace, while our Enterprise Grid version supports multiple workspaces inside an organization. Within a workspace, the Slack app has lists of channels and direct messages. Channels are how you organize conversations. They can be created and named in the same ways you’d organize your work: by projects (for example, #project-xanadu), teams (#team-research), offices (#office-nyc), or departments (#sales), among others. Channels can be public to everyone in the company or private to invited members only. Direct messages (DMs) can be one-on-one, or you can start a group DM with up to nine people. Not everyone is in a channel by default, even the public ones. If you want to ensure that someone sees a message in a channel when you post it, you need to invite and mention them (type an @ symbol followed by the person’s name). Keep in mind: Not everyone at your company may be on Slack yet—but you can send them a workspace invite by email, and once they join, you can add them to the channel. To be clear, “public” does not mean that anyone on the internet can see your content. It only means people inside your workspace can, and these channels have a lot of benefits over traditionally private silos of office communication. Think of them like organization-wide meetings, or small meetings open to anyone. Here, anyone can ask questions or submit ideas, and those discussions are open to the entire group. The more information that gets posted in public channels across a workspace, the more valuable this archive becomes. Public channels can easily be searched by anyone in your workspace. So if people want to reference a proposal that launched a project, they can search for it and find it—along with the context of conversations that surrounded its approval. The more information that gets posted in public channels across a workspace, the more valuable this archive becomes. For this reason, it’s a smart idea to try to set all new channels added to your workspace as public, reserving private channels for specific reasons. Some organizations even create policies around private channels so that if you don’t meet any of the criteria, they are public by default. Private channels are available only to people invited into them, with a lock icon 🔒 beside the name. Others in the company cannot browse or find them otherwise. Anytime you search for messages or files in Slack, it will include your private channels, but that content won’t be available to others not in those private channels. Anytime you need to create a safe place for your team to share, a private channel can serve you well. There are certainly times you need to have discussions with coworkers in a private setting, like recruiting and human resources teams, who often discuss job candidates confidentially before selecting hires. Financial and legal teams may prefer to restrict their channels where money and business matters are discussed as well. When you send direct messages to someone, they are private between you and the recipient. It’s akin to a private discussion two people might have in a small room. Meanwhile, a group DM resembles a hallway conversation between colleagues—where a handful of people can share thoughts and ideas but the rest of the office can’t hear the discussion. Direct messages will be available when you search for messages and files, but only the participants within those DMs can search or see that content. On paid Slack plans, you can invite guests into channels and create shared channels between external workspaces, and those guests will have visibility into your channels according to a team’s settings. Guests will be able to read and search in any public channels you give them access to, so pick carefully. Guest accounts are great for contractors, freelancers, or any outsider working with your organization for a limited time or in a limited capacity—they are guests in your workspace. When you invite a guest into your Slack workspace, you can restrict access as a single-channel or multi-channel guest. Guests will be able to read and search in any public channels you give them access to, so pick carefully. When inviting guests into private channels, you are given the option to hide previous channel history from them, which creates a fresh private channel with your guest and archives the previous channel history for searching by the rest of the members. Shared channels create a channel that’s shared between two separate, external Slack teams. Imagine if a magazine company organizes its media operations in Slack and works with an outside printing company to create the final product. With Shared channels, users can create one channel that acts as a bridge across the two companies, where members of either workspace can join the channel and conduct discussions with one another. They can then decide how to send files for the newest issue to the printers, who can download it, and when the printed copies will arrive at the magazine’s doors. A channel that is shared between two workspaces can be either public or private on each end, depending on how each team sets its visibility, and each side would follow standard public and private channel rules. If the magazine company sets it as a public channel, any member of the workspace can search, read, and join the shared channel. If the printing company marks its channel as private, only invited members on its side can participate. It’s important to know the difference between all the modes of communication in Slack, along with the pros and cons of each. Private channels and DMs have their specific purposes and uses, and it’s good to consider when to use each. Public channels, however, are the best way to create transparency in your organization. They are ideal for building a useful search history open to the entire company and help new team members get up to speed quickly—turning Slack into the collaboration hub for your entire organization.